It's been a very busy number of weeks recently in preparation for this upcoming show in my home city of Ripon, North Yorkshire. The exhibition, I'm proud to say, will be the fruit of lots of hard work, tricky logistics and spades of enthusiasm. Accompanying my own art will be the renowned Tolkien Artist Ted Nasmith and excellent graphite artist Katarzyna Chmiel-Gugulska. Hosted at the luxury Art Cinema venue Curzon Ripon the exhibition will run over December and January with a preview on Friday 12th December from 7pm to 9pm. 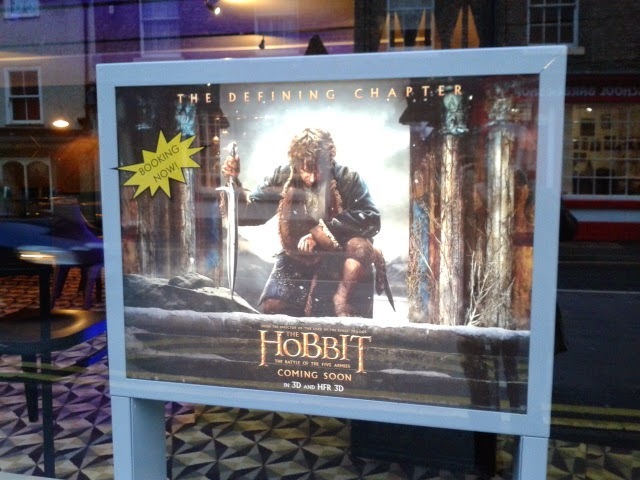 It will quite nicely also tie in with the screenings of The Hobbit: The Battle of the Five Armies. The main aim of the exhibition will be to provide a thought-provoking exploration of Tolkien's Middle-earth through distinct interpretations. My thanks go to friend and curator Becky Dillon for guidance on exhibition planning and for facilitating the introductions with the artists and agents. The full PRESS RELEASE was posted recently in the Arts section of The Yorkshire Times and a great feature story written by Lily Milos over at Middle-earth news. Please let me know when the exhibition is open - I want to publicise this!